The mass spying on the American people continues. According to decade-old documents released earlier this month by Wikileaks, the Central Intelligence Agency has the ability to hack into people’s Wi-Fi routers and gather information regarding Internet searches. The CIA has used home routers from 10 U.S. manufacturers, including Linksys, DLink and Belkin. The firmware, which has been given the codename “CherryBlossom,” runs on a total of 25 router models with the potential to run on dozens more after modifications are made. The document goes on to say that routers with weak passwords can be easily broken into, and that the firmware is particularly effective when it comes to DLink’s DIR-130 model and the Linksys-manufactured WRT300N model. At this point, the CIA has the ability to analyze the router’s status and web traffic via a web-based user interface called “CherryWeb.” The infected router is assigned a “mission,” which usually has to do with targeting a specific laptop or phone inside of the house by using information such as IP and email addresses, chat user names and MAC addresses. 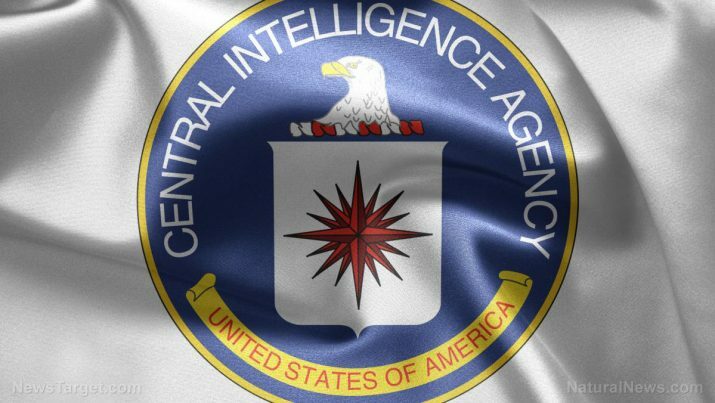 The CIA documents that have been released by Wikileaks date back to the year 2007, which means that this practice has been going on for ten years without our knowledge and without our consent. When you think about all of the ways in which the federal government and big corporations like Amazon are spying on the American people, it’s both shocking and unnerving to know that most of this spying occurs in the comfort of our own homes. As technology continues to advance, and as that technology becomes more and more accessible to average American citizens, there is an ever-expanding list of ways in which our Fourth Amendment rights are being infringed upon. Take, for example, Smart TVs manufactured by Vizio, which have the ability to track your viewing habits and share that information with third parties through a feature called “Smart Interactivity.” Over ten million devices are built with this feature, meaning that Vizio is spying on millions of good, law-abiding Americans as they sit in the comfort of their living rooms. “Non-personal identifiable information may be shared with select partners… to permit these companies to make, for example, better-informed decisions regarding content production, programming and advertising,” Vizio explained in a statement. LG and Samsung have similar features on their own Smart TVs, though they are not nearly as invasive as Vizio, which collects data regarding what you’re watching (such as TV or Netflix), how you’re watching it (recorded or live), as well as when you’re watching it. Unlike other companies, Vizio has the ability to link the viewing patterns that it collects from users with the IP address, which increases the overall value of the data. This practice is illegal, but Vizio claims that the laws do not apply to its business. This has got to stop. Some may argue that it’s really not a big deal if their routers are hacked or their television viewing habits are monitored, but at this rate, it will become a big deal in the not-so-distant future. That is why it is up to the American people to stand up for their Fourth Amendment rights before it is too late.